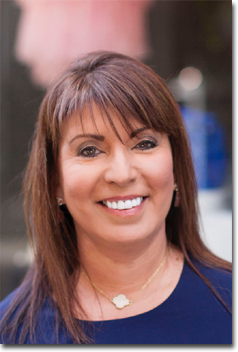 As the UK’s first Dating Coach and a Behavioural Psychologist, Jo’s particular speciality is individual coaching for singles of both sexes looking for the ideal partner, whether you are looking for practical or emotional support or advice. Jo is encouraging and sympathetic but grounded and practical. 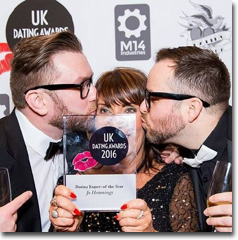 As the UK Dating Awards Dating Expert of the Year, she is familiar with all aspects of dating, including online and apps, for all ages, sexual orientations and genders. Above all she gets results! She also offers couples counselling in her practice in South London. Bronze the basic package of one hour’s face-to-face coaching followed by Jo’s customised recommendations and email follow up. Silver package which offers three separate hours of coaching, and where Jo can look into any concerns that you may have in more depth. Gold six separate coaching hours, which have proved to really get to the psychological heart of the matter and find permanent solutions. This includes full regular email follow up and phone support. Jo offers a six week intensive couples counselling package. Unlike many one-size-fits-all counselling offered by other therapists, this is customised to your concerns, issues and problems and has had considerable success in repairing relationships wherever possible. All coaching sessions take place in Jo’s comfortable and discreet consulting rooms, near Blackheath, London. Early evening and weekend slots are available, as well as day times to suit you. Skype coaching is also available. Contact: jo@datingcoaches.co.uk for further information and prices.